Conocybe cyanopus: Found from May I through September—usually in dense I shade scattered among mosses and in wet soil around bogs, swamps, and ditches— in the northwestern USA and as far east as Michigan. Carpophores grow well in sphagnum moss having a pH range of 7-8. Copelandia cyanescens: Found from early summer through late autumn—scattered, grouped, or clustered on cow dung or rich soil—in Florida and other southern states. Spores germinate easily on all agar media. Optimum growth occurs on MEA at 80° F. Carpophores can be produced on uncased compost or on rye. Panaeolus foenisecii (also known as Panaeolina foenisecii or Psilocybe foenisecii, and commonly known as haymower's mushroom or harvest mushroom): Found in late spring and early summer or in July, August, and September dur ing cool, wet seasons—scattered or grouped in large numbers on lawns, pastures, and other grassy places—throughout the USA and in Quebec. Tests of specimens found in Washington revealed no psilocybin, but eastern specimens were potent. Panaeolus sphinctrinus: Found in summer and autumn—in small groups in forests, fields, and roadsides (almost always on cow dung)— in many temperate parts of the world. Panaeolus subbalteatus: Found from spring through autumn—grouped or clustered (often in rings up to two feet in diameter) on open ground, freshly manured lawns, straw piles, all types of compost, dung piles, and roadsides—in Ontario and throughout the USA (especially in Massachusetts, Maryland, New York, Ohio, Michigan, Washington, and Oregon). Optimum growth in MEA is at 86° F. It occasionally occurs as a weed mushroom in commercial mushroom houses. Pholiotina cyanopoda: Found from August through September—solitary or clustered on lawns—in such diverse parts of the USA as New York, Washington, and Colorado. lawns, mulch, and decomposing forest wood near scattered trees (especially conifers)—in western Oregon and Washington. It does well on all agar media at 77° F. This is a potent species containing psilocybin, psilocin, baeo-cystin, and nor-baeocystin. 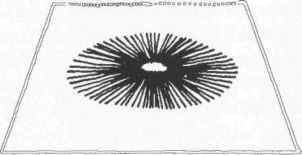 Perhaps it is because of the latter two alkaloids that it is the most visually hallucinogenic of the psilocybian mushrooms. There is a report that in 1960 a six-year old boy died after eating a large number of these mushrooms. There has never been any other indication that these alkaloids are dangerous. CAUTION: People consuming Psilocybe baeocystis or any other species must proceed with caution. Knowledgeable mycophiles start with small doses and progress gradually to larger ones. This is especially important when using the extracted crude alkaloids, which may contain large concentrations of the baeocystin alkaloids. Psilocybe caerulescens: Found in summer during the rainy season—grouped or clustered (but rarely solitary) in shady places on soil, sugar cane mulch, recently turned earth, or stream banks—in Alabama, northern Florida, and Mexico. The Mexican variety P. caerulescens var. mazatecorum is known locally as derrumbe, which means "landslides." There it is often found among landslides or near corn and coffee plantations. The mycelium does best on ME A at 81° F. Thermal death occurs at 95° F. It is almost impossible to produce carpophores on sterilized rye medium. They can be grown on vegetable compost in dim light, but the incubation period is long (55-85 days). Although this species is resistant to white mold, its long incubation period leaves it prone to other diseases. It is not one of the more potent species. Psilocybe caerulipes: Found in summer and occasionally autumn—solitary or clustered on decomposing logs and debris of hardwood trees (especially birch and maple)—in New York, New England, Ohio, Michigan, North Carolina, Tennessee, and Ontario. Psilocybe cubensis var. 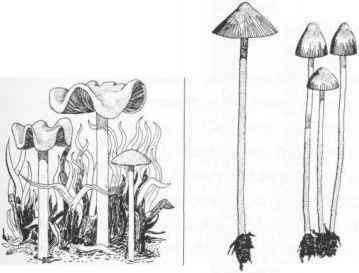 cyanescens (Singer), formerly Stropharia cubensis (Earl): Found from February through November—in compact groups in clearings outside forest areas, on cow or horse dung, in rich pasture soil, on straw, or on sawdust/dung mixture—in Mexico, Cuba, Florida, and other southern states. It grows well on MEA. At 86° F carpophores appear in 4-8 weeks. 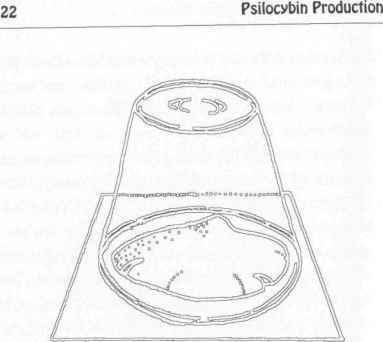 Thermal death occurs at 104° F.
Carpophores larger than wild specimens can be produced by inoculating a vegetable compost in clay pots with agar grown mycelium, casing with a silica sand/limestone mix, and incubating 4-6 weeks in daylight at 68° F. It does poorly in darkness. It is a potent mushroom and is relatively resistant to contaminants. Psilocybe cyanescens: Found in autumn— scattered, grouped, or clustered in woods, on earth, among leaves and twigs, and occasionally on decomposing wood—in the northwestern USA. Psilocybe mexicana: Found from May through October—isolated or sparsely scattered at altitudes from 4500 to 5500 feet (especially in limestone regions) among mosses and herbs, along roadsides, in humid meadows, in cornfields, and near pine forests—in Mexico. Psilocybe pelliculosa: Found from September through December—scattered, grouped, or clustered on humus and debris in or near conifer forests—in the northwestern USA and as far south as Marin County, California. This is a small but potent species. 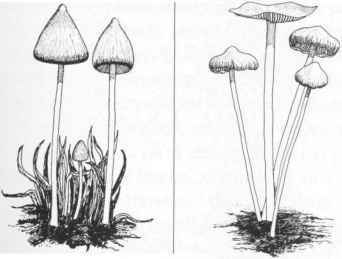 Psilocybe strictipes drawing by Michael B. Smith from Hallucinogenic and Poisonous Mushroom Field Guide by Gary P: Mensur, Ronin Publishing, Inc. Used by permission. vegetable debris regularly inundated by river flooding, and on decomposing wood and debris (especially birch, alder, fir, and spruce)— in the Quebec area. 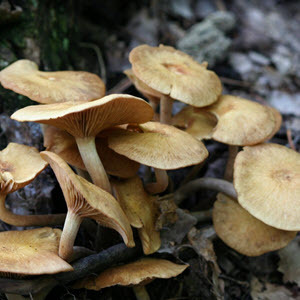 It thrives at lower temperatures than do other Psilocybe species and produces carpophores at air temperatures of43-59° F.
Psilocybe semilanceata: Found from August through September—often in large groups on soil, among grasses, in clearings, pastures, meadows, forest edges, open conifer woodlands, and on roadsides (but never on dung)— in New York, northern USA, British Columbia, and Europe. Generally regarded as one of the less potent species, it is sometimes quite potent. Psilocybe strictipes: Found in October— rather clustered on soil or on decomposing wood and debris (of conifers and other trees)— in the northwestern USA (especially in Oregon). It closely resembles P. baeocystis, but has a longer stem. It tends to be as visually hallucinogenic as that species and probably contains the same or similar baeocystin alkaloids. (but not usually on them)—from New York to Michigan and as far north as Quebec and Ontario. This mushroom is small and is often mistaken for P. pelliculosa. The species discussed above are only some of the more commonly known ones with hallucinogenic properties. 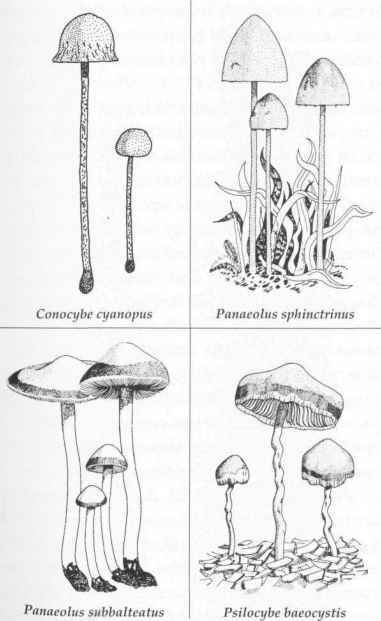 They are recognized among the many psilocybin-bearing mushrooms: 40 species of Conocybe (usually found in forests, pastures, gardens, dung areas, sandy soil, ant hills, decayed wood, and charcoal and having a cosmopolitan range); 20 species of Panaeolus (found on soil and dung and having a cosmopolitan range); 40 species of Psilocybe (found on soil, moss clumps, and organic substrata—such as dung, rotting wood, bagasse, and pear—and ranging from the arctic to the tropics); and 9 species of Stropharia (found on soil, dung, and sometimes on leaf mulch and rotting wood and having a fairly cosmopolitan range). What the name for white psilocybe?